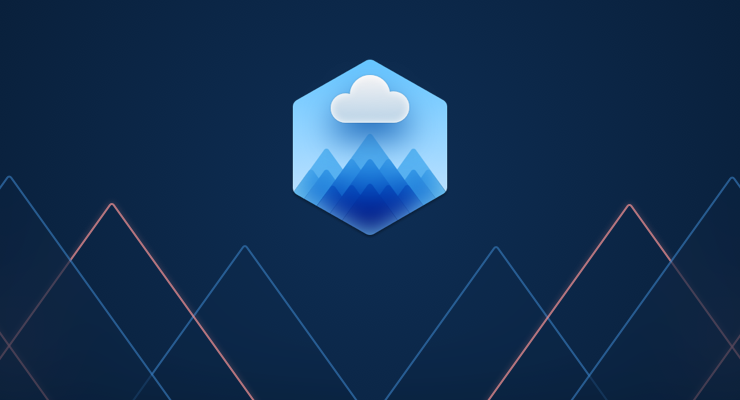 CloudMounter is a menu bar application that connects to cloud services like connecting to network hard drives. Connect to OneDrive, for example, and you’ll see it appear as a network volume in Finder. You don’t need to use cumbersome custom sync or backup programs just to access your files. Instead, you can access all your cloud storage through CloudMounter. Forget the Dropbox app or Google’s Backup and Sync: CloudMounter is faster, easier to use, and more reliable. Like Eltima’s other applications, CloudMounter exposes useful features in a highly-polished package. CloudMounter mounts your cloud storage accounts as drives in macOS. Finder and all other apps can access the remote files just like normal files. 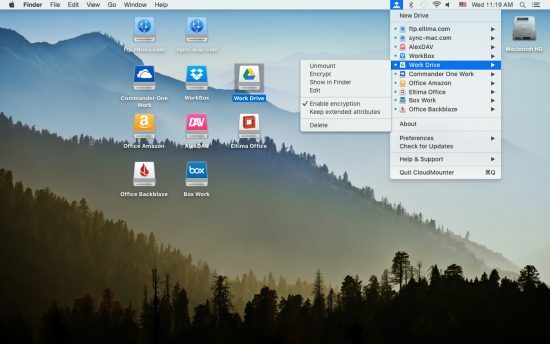 CloudMounter handles the file management and sync and prevents unused files from clogging up your hard drive. Once your session is over, files are deleted, and your disk space is reclaimed. CloudMounter supports the top consumer cloud services like Dropbox, Box, Google Drive, OneDrive, and Backblaze’s B2 storage. Developers get support for Amazon S3, WebDAV, FTP/SFTP, and OpenStack. Connections are reliable and robust, especially when compared to Finder’s anemic network drive tools. Each server has its own file path, and remote data can be access through local fully-qualified paths. As far as Finder is concerned, CloudMounter’s drives could be attached to your computer by a wire. With CloudMounter, files are not stored on your local hard disk until you open them or download them. Any active files are downloaded to speed up opening and editing. Once the cloud volume is unmounted, CloudMounter will send a final sync update to the server before deleting the temporarily-stored files from your local disk. 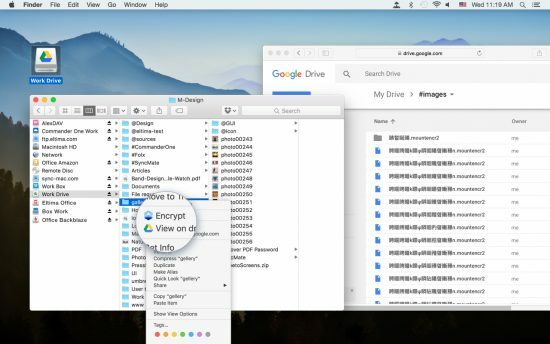 You’ll get access to the files within Finder without storing them on your local hard drive. This can free up significant space by removing individual sync clients and their static local disk storage. Get the files you want now without worrying about files you don’t need. It’s a major space-saver for laptops with relatively small SSDs as their only storage medium. CloudMounter also offers encryption options for files stored in cloud services. They can be protected individually or as part of a folder. The file names and the content of the files will be unreadable to anyone without your decryption key, protecting not only your data but your metadata as well. Simply enter your password for the files in Finder and you’ll be able to access all your encrypted data freely. Encrypting your cloud storage creates an extra layer of protection. While cloud data is typically encrypted by the storage provider, an extra layer of protection means that even the storage company can’t see the files you’ve uploaded. Furthermore, in the event of a security failure, your data stays safe. CloudMounter uses the AES-256 algorithm, a widely-used and highly-reliable choice. Take, for example, Dropbox’s recent hack, which exposed gigabytes upon gigabytes of user data to hackers. A quick search of that data could easily pull up loads of financial and identity documents. If your files are encrypted by you, even stolen files will be protected from prying eyes. 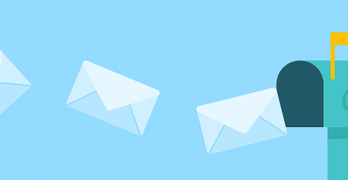 In addition to the extra security layer, encrypting your own files can help meet a regulatory burden or satisfy customer requests for data protection. As with Eltima’s other Mac apps like Commander One, there’s an obvious polish to the entire app. Cloud sync is not easy, as Apple has learned, much to its dismay, but no bugs were encountered, and no unexpected syncing behavior was experienced with CloudMounter. It did what we expected it would do without trouble. 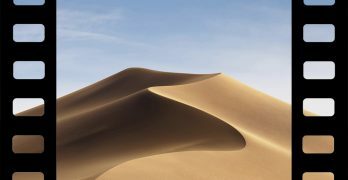 The menu bar icon links to the most important features of the app, and Dropbox-style Finder icons display file status with clearly differentiated icons and colors.